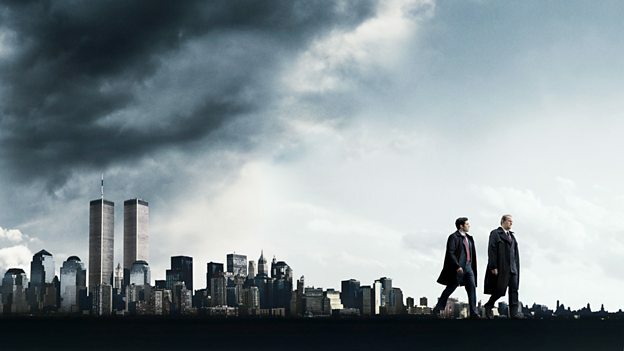 The 10-part drama series is based on Lawrence Wright’s Pulitzer Prize-winning non-fiction book about the rising threat of Osama Bin Laden and Al-Qaeda in the late 1990s, and how the rivalry between the FBI and CIA during that time may have inadvertently set the path for the tragedy of 9/11. Starting in 1998, the series follows members of the I-49 Squad in New York, and Alec Station in Langley, Virginia, the counter-terrorism divisions of the FBI and CIA respectively, as they trawl the world fighting for ownership of information while seemingly working toward the same goal: trying to prevent an imminent attack on US soil. Jeff Daniels plays John O’Neill, the bull-headed chief of the I-49 Squad who is convinced that the US has been targeted for an attack by Al-Qaeda. O’Neill and his protégé, Muslim-American FBI agent Ali Soufan (Tahar Rahim) face deliberately insufficient cooperation from their counterparts within the CIA, which is led by antagonistic Martin Schmidt (Peter Sarsgaard). Convinced he’s by far the smartest person in the room, Schmidt, along with his Alec Station acolyte Diane Marsh (Wrenn Schmidt), opt to weasel around Presidential orders and hoard information from the FBI, believing that the CIA is the only government agency equipped to battle potential terror threats from abroad. Members of O’Neill’s team travel overseas to investigate the bombings of the US embassies in Nairobi and Dar es Salaam, then the U.S.S. Cole in Yemen, while following leads in Europe, North Africa and the Middle East, gathering important intelligence. The professional and personal worlds come to a head as Al-Qaeda operatives in the US, whom the CIA had known about, set their plan in motion. The Looming Tower is executive produced by Dan Futterman, Alex Gibney, Lawrence Wright, Craig Zisk, and Adam Rapp. The Looming Tower is a Legendary Television production for Hulu in the U.S.